OPTIRESOURCE is a powerful and interactive software package for Well-to-Wheel analyses as well as for evaluation and visualization of car-related energy chains and energy scenarios. It provides information about the primary energy demand and greenhouse gas (GHG) emission rate associated with energy chains or energy scenarios. The results also include an evaluation of primary energy supply and land and water use for the chains where this information is relevant. 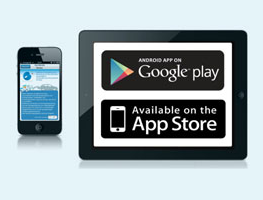 Thus Optiresource is an essential tool for politicians, vehicle manufacturers, planners and users and buyers of vehicles to make plans and to take decisions about future transport solutions. Up to now, a huge sum of data from different well-to-wheel studies is available in form of reports. But premises are difficult to show, data are difficult to compare, add and sort. To find the relevant data sets quickly, a Well-to-wheel visualization is necessary. 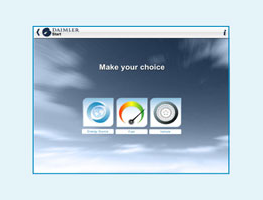 Thus Daimler has developed an interactive and easy-to-use software to get quick and clear answers to many questions, like: - how do different energy chains compare in terms of energy consumption, GHG emissions etc. ; - what are the chains allowing for the optimization of the consumptions and emissions, - what is the impact of different energy scenarios, - what does it happen with the introduction of new powertrain and so on.